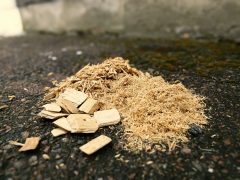 DustComb is an expert company specialising in refining processes and technologies for fuel wood and biomass. We offer our client companies expert services related to the processing of fuel wood. Our goal is to enhance and increase the usage of renewable fuel wood in energy generation. DustComb’s compact and mobile refining unit makes it possible to maximise the energy density in the fuel wood before it is transported over longer distances. This enhances the logistic chains and reduces the transportation and handling costs of biofuels. The refining of fuel wood enables more efficient use of wood and biomass in energy production. This brings savings in fuel consumption, lower emissions, and better reliability for power plants.